I know what you’re thinking, it’s 5 months before Christmas. Why on earth would anyone book their Christmas party so early?! Well you’ll be surprise as this is normally the prime time for companies to start planning ahead for the festive period. Here are a few reasons as to why should you should consider booking your Christmas party right now! 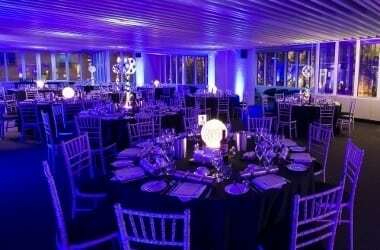 Most companies will be searching for the best and popular venues to book their Christmas party so to avoid any disappointment, it would be wise to start contacting the venue of your choice now to ensure they have availability for the allocated date. If you have employees that are not based locally and would like to book a hotel for the night, then it is vital that you start making reservations as soon as a date is confirmed as there will be a very slim chance of finding a hotel of any standard during the festive period and prices will be higher the longer you leave it. Booking a Christmas party can be very stressful especially if you’ve left it last minute. So in order to have a peace of mind, it would be recommended that you place a booking this month so you can feel relaxed and focus on other things. Christmas is a very special time of year for everyone so as soon as a date is confirmed, this will have a positive change around the office as everyone will be filled with excitement and have something to look forward to. As soon as a date has been confirmed, your organisation process will be a lot more enjoyable as you will have plenty of time to speak to everyone and get their input for the party that could include the choice of food/drinks, decorations/props, games etc. This will also make everyone feel appreciated and part of the Christmas celebrations.